Whenever I am getting ready to go on my bi-annual cleanse I allow myself one binge day and of course that includes my “last meal.” (It’s not really a last meal per say, but my last “bad” meal for 11 days.) This round I knew I needed something completely indulgent. 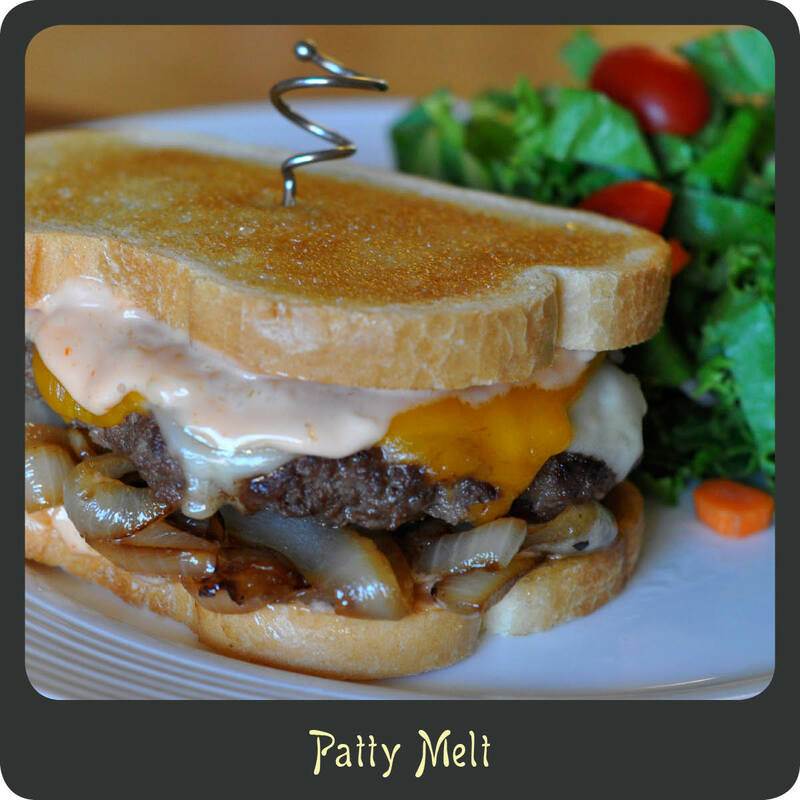 I decided on one of my favorite types of burgers, a classic patty melt. A juicy ground beef patty smothered in cheddar and Swiss cheeses, some caramelized onions, and of course some 1000 island dressing. Heaven between two toasted slices of buttered sourdough toast. Go big or go home right? Well if you are looking for one of the best burger recipes ever give this a try. It is totally basic and completely wonderful! Mix together the ground beef, Worcestershire sauce, salt, and pepper. Form the meet into four thin patties. Melt two tablespoons of the butter in a skillet over medium high heat. Add the sliced onions and cook stirring frequently until they are a nice golden brown color, about 15 minutes. While the onions are cooking heat a large skillet over medium-high heat and add the patties. Cook the patties for 5 minutes and then flip over. Add a slice of Swiss and a slice of cheddar to each patty. Continue cooking the burgers for another 5 minutes or until cooked through. Toast the slices of sourdough bread and spread one side of each slice with butter. Spread the opposite side of each slice with a generous amount of 1000 island and keep them dressing side up. Place a heap of the caramelized onions on 4 slices of the bread. Add the cooked patty to the piles of onions and place the remaining slices of bread on top, dressing side down.